Do you view knitting, crocheting and other yarny arts as a winter pastime? 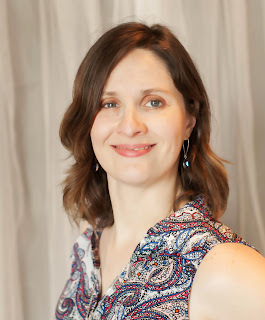 I used to feel that way—it would make me too hot—but I've found that with the right project and the right yarn, you can knit year round. 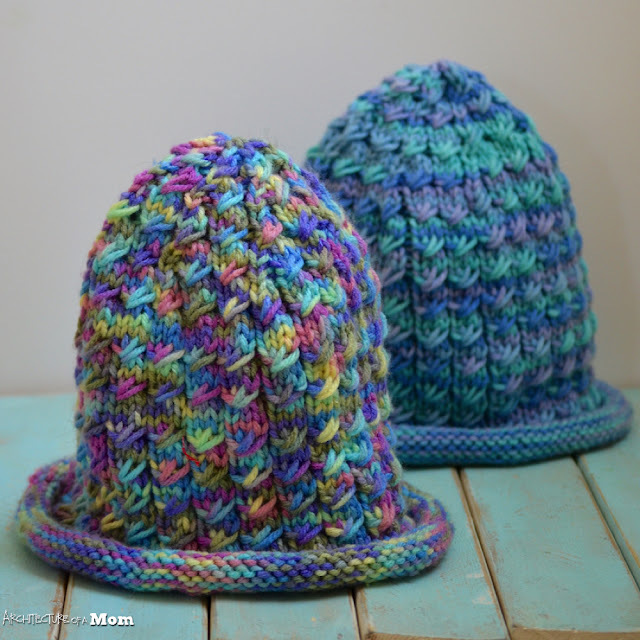 I'm a big fan of easy patterns that you can follow without too much thought, and since haven't had coordinating hats for my twins since their first winter, I decided that I would attempt to finish hats for each of them before it got too cold to need them. The only problem with knitting for more than one child is that you can only knit one thing at a time. The pattern of this hat—which has a kind of faux mini cable on it—is super easy, perfect for an easy pattern while other things are going on. 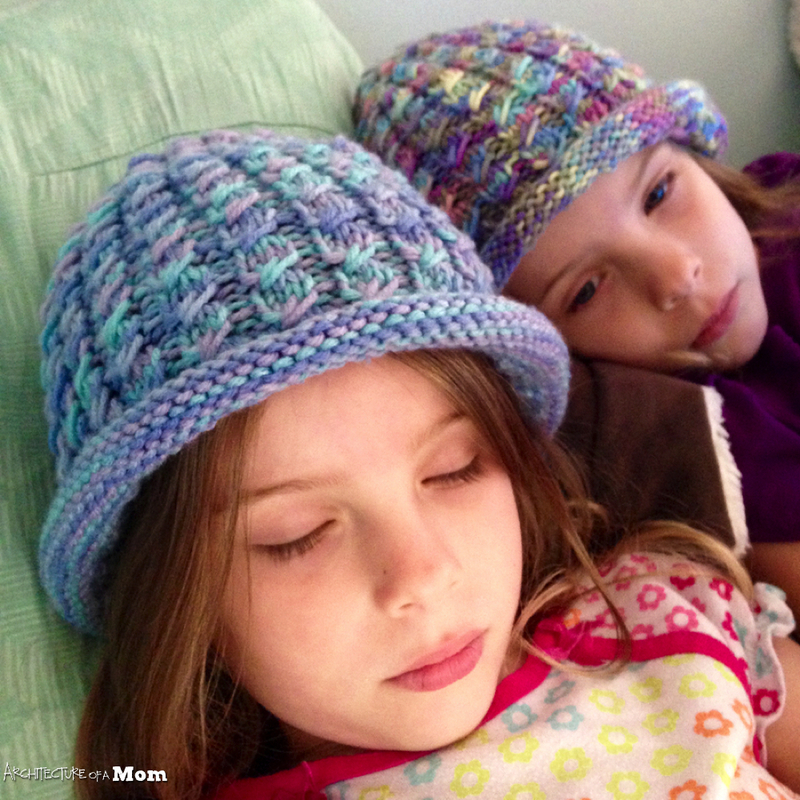 But when one twin has her hat, and the other one is waiting impatiently...mama just can't knit fast enough. Good thing I finished up this weekend. And despite 95 degree weather they immediately put them on. I used coordinating variegated yarn, with each yarn taking less than a skein, so hopefully you can tell these hats go together without being too matchy matchy. I'm a big fan of making multiples of the same pattern with different yarns, and this pattern has just enough variety to keep it from being boring! Do you want to use this pattern? It's called the Dean Street Hat Nina Machlin Dayton and can be found on Ravelry here. 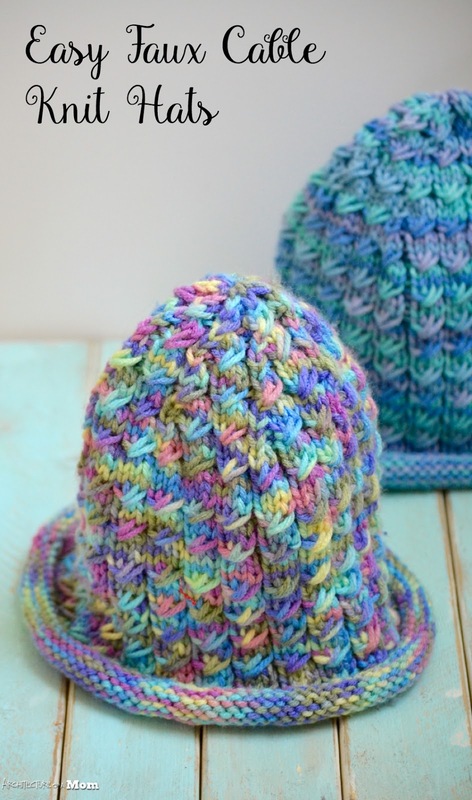 There is an option for a rolled brim and a ribbed brim. Note that I used the medium size for my rather large 4 year olds and it fits them great. It also fits me. The pattern stretches quite a bit with a simple worsted weight yarn.